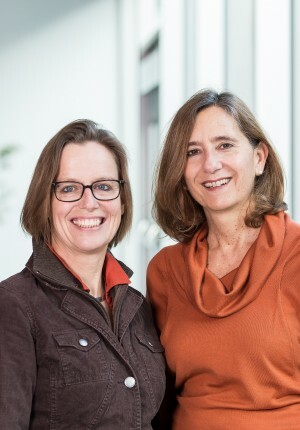 Barbara Schnell (left) has worked at KfW since 2001. She initially spent a number of years working as a project manager for water / waste water and team lead responsible for financial system development in Asia. Since April 2018, she has held the position of Head of the Sector Policy department at KfW Development Bank, which handles sector-specific topics and knowledge management. Eva Witt has been at KfW since 1995. She held the position of Head of the Eastern Europe department at KfW Development Bank before assuming responsibility for the Federal German and European Affairs department for the Group in 2017. 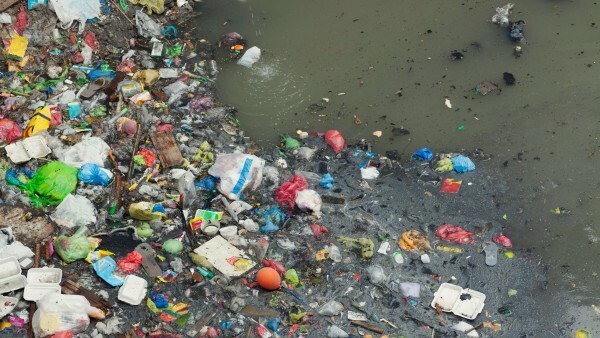 Why has plastic waste in our oceans suddenly become such a hot topic? BARBARA SCHNELL: The issue is not a new one. However, people have realised that our oceans are overloaded with waste and that they are not an everlasting resource. Images of dead whales with huge amounts of plastic in their stomachs will certainly have played their part. The inclusion of ocean protection in the UN Sustainable Development Goals – not something that was envisaged from the start – also sent an important signal. Resolutely dealing with this issue is one of the major tasks of our time. Could you give us some details? EVA WITT: The oceans are of fundamental importance for the climate and biodiversity. They provide a food resource for around two billion people. The condition of the oceans, however, is deteriorating dramatically, through overfishing, coral bleaching and clearing of mangroves, and also the rapidly accelerating rate of pollution with solid waste. Today, it is estimated that 150 million tonnes of plastic waste are already in the oceans. Plastic places marine wildlife at risk and can also affect humans as it returns through the food chain. And what can the global community do in view of these dimensions? SCHNELL: There are already a number of projects that approach the problem from different angles – ranging from the establishment of conservation zones to waste prevention and sewage treatment. KfW's waste management portfolio in coastal countries alone totals around EUR 340 million; the money flows in 17 projects. How is KfW involved in this undertaking? WITT: Correct. In 2018 we founded the Clean Oceans Initiative, a European initiative to protect the oceans from pollution and contamination by waste, together with the European Investment Bank (EIB) and the French development agency AFD. Over the next five years, we intend to jointly make two billion euros available to finance waste management and sewage treatment in developing countries and emerging economies. Meanwhile, KfW has committed 148 billion euros under the Clean Oceans Initiative on behalf of the Federal Ministry for Economic Cooperation and development - for urban waste water disposal in Cape Town, for a controlled landfill in the framework of the reconstruction programme in Sulawesi and Lombok in Indonesia, as well as for waste water management in Costa Rica. EIB also has three new projects worth 329 million euros. A further 24 KfW projects are in preparation. WITT: Which is why we Europeans must take responsibility. We need to organise our own economies to use resources more efficiently and be more sustainable. In the coming year we would like to work together with other national promotional banks to create a platform in Europe that we can use to promote projects in the recycling economy sector. 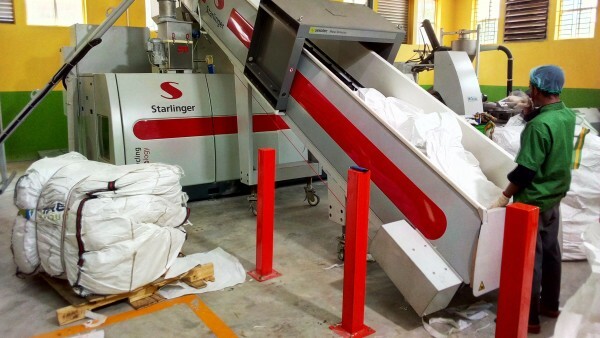 Such projects could include the reconditioning or recycling of used electronic equipment and start-ups that develop innovative solutions for waste processing or for preventing waste in the first place. We would also like to work together with the European Commission, which already adopted a Circular Economy Action Plan in 2015. Promoting a circular economy is intended to contribute to making Europe's economy sustainable and competitive while ensuring resource conservation and low carbon emissions. KfW CEO Dr. Günther Bräunig presents the Clean Oceans Initiative at the World Bank Annual Meeting on Bali (KfW Group/Dr. Michael Helbig). Many developing countries are not only faced with the problem of dealing with their own waste, but often also with the exported waste from us. WITT: Which is why we Europeans must take responsibility. We need to organise our own economies to use resources more efficiently and be more sustainable. This year we will launch a platform together with other national promotional banks in Europe that we can use to promote projects in the recycling economy sector. We would also like to work together with the European Commission, which already adopted a Circular Economy Action Plan in 2015. Promoting a circular economy is intended to support the competitiveness of Europe's economy while ensuring resource conservation and low carbon emissions. What makes you confident that the enormous problem of plastic pollution can be tackled? SCHNELL: Protection of the rain forests started back in the nineteen eighties with small measures but since then we have achieved great success by combining sustainable usage patterns with improved conservation. In many areas the rate of deforestation is on the decline. Nearly two dozen countries – including China, Chile or Vietnam – have been able to increase the size of their forest areas. Why should it not be possible to do the same for the sea that we have done for the land?